The VSL course, designed by the architect R Berthet, opened in 1987. 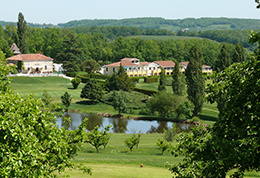 It is an undulating 18 hole par 72 layout of 6109 metres with plum trees and orchards bordering many holes, a typically beautiful Lot et Garonne landscape. 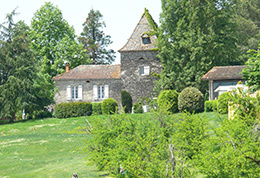 It is renowned as one of the best courses in Aquitaine. 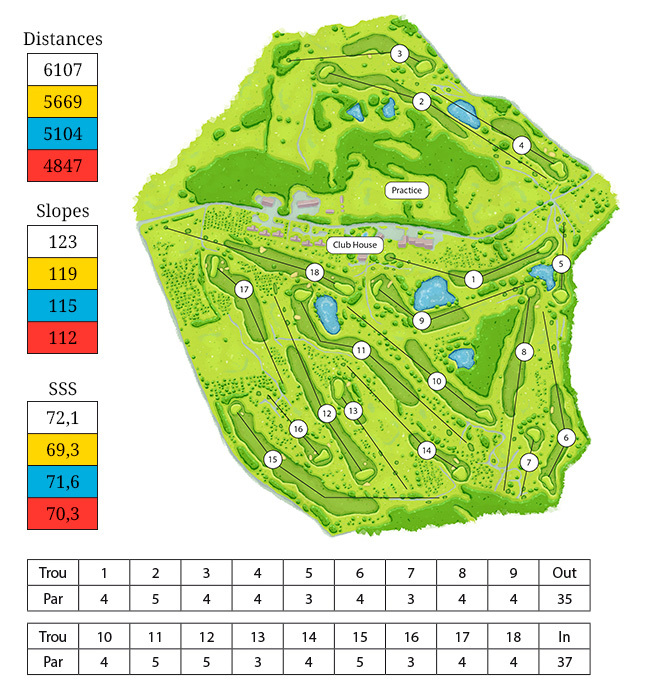 The course is in the heart of the countryside with holes of different character giving it immense charm. Going out, there are water hazards at 5 holes. Coming back, some holes climb to a high green, others descend. 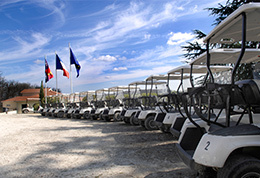 The course is suitable for players of all levels. During certain months of the year, you may help yourself to apples and prunes from the orchards which border the course. There are many lovely views with the best at holes 4 and 8. Throughout the year, our PGA pro Cédric Authier can offer you individual lessons specifically adapted to your level, as well as a course of lessons over several days. For those who like to travel, we also organise golf trips to Morocco, Tunisia, Turkey etc. We welcome all youngsters below the age of 18 on Wednesdays from 1.45 pm and 4.30 pm. The best youngsters are generally selected for the under 17 team and take part in the French national championships. 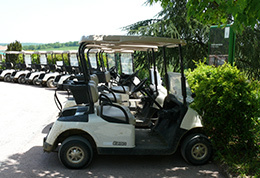 We respectfully ask that all visitors to the course comply with the etiquette of golf. Because golf is first for your pleasure !